Fennel is a highly aromatic perennial herb, erect, glaucous green, and grows to 2 m tall. The leaves grow up to 40 cm long; they are finely dissected, with the ultimate segments filiform, about 0.5 mm wide. 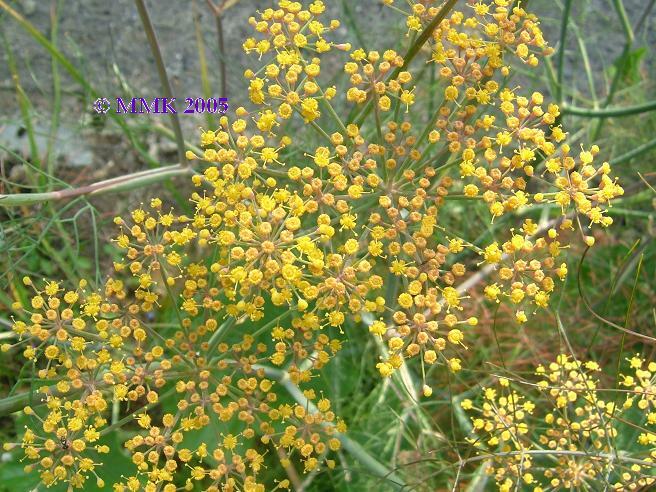 The flowers are produced in terminal compound umbels 5�15 cm wide, each umbel section with 20�50 tiny yellow flowers on short pedicels. The fruit is a dry seed from 4�9 mm long, half as wide or less, and grooved.